The selection of cards that are found above are the options that are immediately available to you. The cards come in quantities of 100, 500 and 1000. The larger the quantity the lower the price per card. You can have your gift cards in as little as 3-5 business days. We also offer you the opportunity to create a custom card that is unique to your business. You may choose to create a card that matches your business logo and colors to further strengthen your brand. 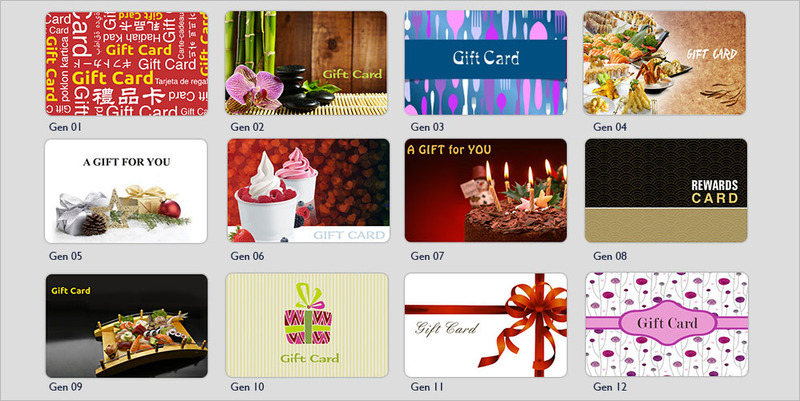 Many of our customers also elect to create a card that resembles the product or service they render. If you don't have a Marketing team, we can also offer Design Services for a fee that is below industry standard. Custom cards can be ordered in quantities of 500 or 1000 and can take up to three weeks. Ordering your cards is as fast and easy. Contact your Sales Representative or Customer Service to get started.